Mark Lee Kok Huang is a veteran Mediacorp artiste who made his big break in television in 1998 and has gone on to star in and host many local award-winning TV serials and shows, rising to prominence. 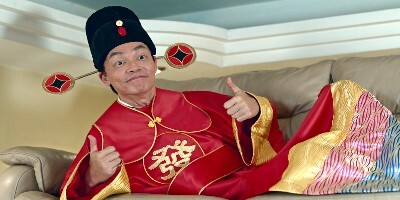 Lee is famous for his roles in Singapore's Mediacorp Channel 5 television sitcoms Police & Thief, Phua Chu Kang Pte Ltd and in Mediacorp Channel 8 long series television drama Holland V. He also gained recognition for his work with Jack Neo and Henry Thia in films such as Money No Enough and Liang Po Po: The Movie and long-running comedy variety programme Comedy Nite. Mark Lee was awarded the coveted All Time Favourite Artiste award in the Star Awards 2010. Although he was mostly known for playing comedic roles early in his career, he has also diversified into hosting various programmes. He made his directorial debut with the comedy horror film The Ghosts Must Be Crazy. Mark Lee founded Galaxy Entertainment and the production house King Kong Media Production with partner Yinson Marine Services, a Malaysian oil and gas company. In 2017, he produced and starred in The Fortune Handbook.